Rentman shows you when you need to invoice a project and makes it easy to directly create the invoice. After invoicing the accounting process starts. Accounting in Rentman is possible however we advice to create invoices in Rentman and then export them to Accounting Software for the accounting process. Accounting software is advised since accounting Software can be connected to the bank and automatically shows if invoices have been paid. 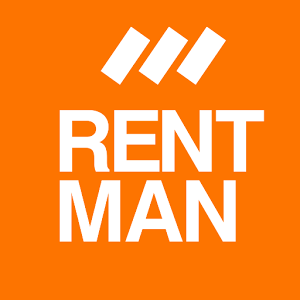 Rentman does have functionalities for accounting. These include keeping track when invoices are due the ultimate payment date, option to show if invoices have been paid and sending reminders. Admin panel > Invoice moments: In the dashboard widget 'to be invoiced' projects can be found that need to be invoiced. The projects are shown based on the invoice moment connected to a project. Invoice moments are entered and changed in the admin panel together with text shown in the quotation. Select a default invoice moment for your account in the configuration in the admin panel, different invoice moments can be selected for project types, contacts and projects. Admin panel > Payment conditions: A payment condition is connected to each invoice. The payment condition states how many days a customer has to pay the invoice. Enter and change payment conditions together with text for on the invoice in the admin panel and set a default in the configuration. A different payment condition can be set for each invoice. Invoice numbers: Each invoice numbers has an invoice number in Rentman. The starting number of the invoice number can be changed in the admin panel in the configuration tab. This article guides you to change the invoice number into a different number. When you have bookkeeping software the best option is to create invoices in Rentman and export them to your bookkeeping software. Rentman can be connected with each bookkeeping software with a export function (.csv file). Customer code: invoices are connected to a contact with a unique contact number. This contact number is used to synchronize the contact in the accounting software. Make sure that the contact numbers of the contacts in your Rentman database match the contact numbers of your contacts in your accounting software. You can synchronize them by exporting all contacts with contact number from your accounting software and import them into Rentman. When adding new contacts in the future you can choose to follow the new automatic numbers Rentman assigns to new contacts. When exporting invoices the contact information is also exported and will be added as new contact in your accounting software. Admin panel > VAT/TAX codes: each invoice has VAT/TAX rates connected to one or more sums. VAT/TAX rates are connected to VAT/TAX codes. To make sure your accounting software takes over the correct VAT/TAX rate you need to synchronize the VAT/TAX codes in Rentman with the VAT/TAX codes in your bookkeeping software. Open a VAT/TAX code in the admin panel to change the code. Admin panel > Ledgers: invoices can be split on ledger when exporting them. When you do this each invoice is split in different sums with the corresponding ledger. Ledgers for different categories are automatically connected in Rentman and cannot be split in a different way. The ledger for rental is for example automatically connected to all rental items planned in the equipment tab of a project. The ledger code can be edited in the admin panel so it is synchronized with the ledger codes used in your accounting software. Admin panel > Payment conditions: each invoice has a payment condition setting the number of days the invoice will stay valid. To take over the correct payment conditions to your accounting software you synchronize all payment conditions in Rentman with the payment conditions in your bookkeeping software. Open a payment condition in the admin panel to edit the code. When you do not use bookkeeping software at this moment you can use Rentman to keep track of your bookkeeping. Make sure to set up the same settings as discussed above. Invoices will be red when the number of days of the payment conditions is passed. You can create reminders with the default templates for reminders and sent it with the writing paper you have added to Rentman.